“I noticed. Beautiful,” McClain said. The station’s robotic arm had done much of the heavy work beforehand, but the astronauts still had to lug 300-pound pieces the size of a large coffee table and reconnect battery wiring. The space station uses solar panels to generate power but the batteries are used when it’s in the dark and not getting power from the sun. 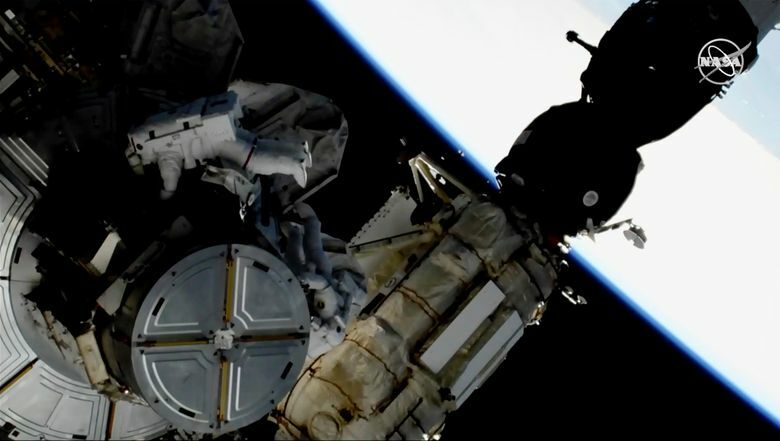 Friday’s spacewalk was the first of three planned excursions to replace batteries and perform other maintenance. Next week’s spacewalk will include the first all-female crew, including McClain.